http://flevy.com/blog/wp-content/uploads/2018/12/Leader-hand-gensture-768x576.jpeg 768w, http://flevy.com/blog/wp-content/uploads/2018/12/Leader-hand-gensture-1024x768.jpeg 1024w" sizes="(max-width: 300px) 100vw, 300px">The use of behavioral competencies in appraising the skills and potential of leaders is a norm in organizations large and small. 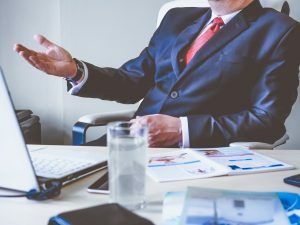 The competency models are omnipresent owing to several reasons—a shared vocabulary to convey the expectations from people, a basis for Performance Management planning, and a means to express the parameters for career advancement. 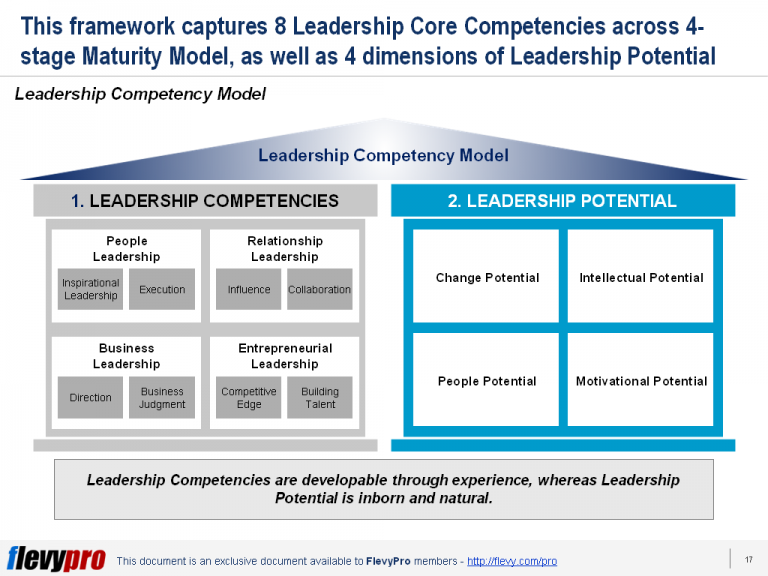 However, problems surface when competencies are considered the only factor in evaluating the leaders’ potential.